When it comes to fishing line (more specifically braid) do you have a preference between low-vis and hi-vis colors? I’m currently running alot of braid with some mono for most of my setups, and admittedly I’m pretty boring when it comes to line color. For most reels, I’m filling Sufix 832 in low-vis green. Hard lines really stick out underwater because they’re outlined so well, with little to no opacity. I fight that effect with a good fluouro leader, but I still prefer to blend in with turbid or stained environments when it can. With the low-vis green, I’m able to direct-tie in select bodies of water with good color to them. 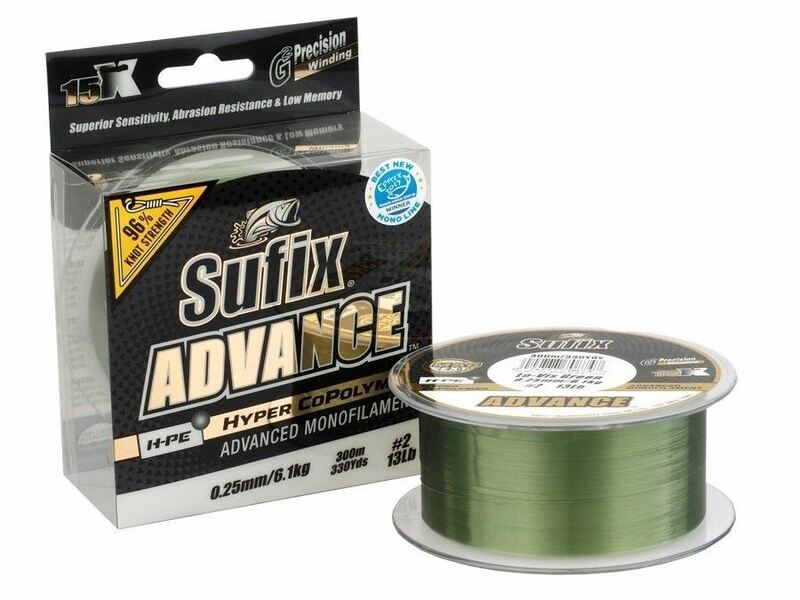 I’m also running the new Sufix Advance, also in low-viz green for panfish situations this year, as it fishes so much like braid while being more translucent. I used some last year and lost less jigs because of it, while still being able to pitch into brush. I do fish hi-viz however for river jigging and slip-bobber setups (also with fluoro leader). For the braid I’m using 832 again in neon lime, and Sufix Elite in Hi-Viz Yellow. In current situations, I’m often relying on line-jump to detect bites, along with feel, and current can do funny things to your jig. That hi-viz line helps you keep better track of what’s going on overall. The same is true with slip bobber fishing as so often you’re resting bobbers on slack line. Hi-Viz helps you determine how much slack you have, and where, giving me a better hookset when it’s time to drill them.